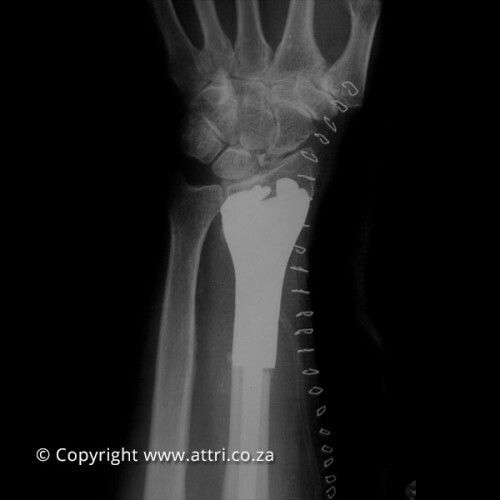 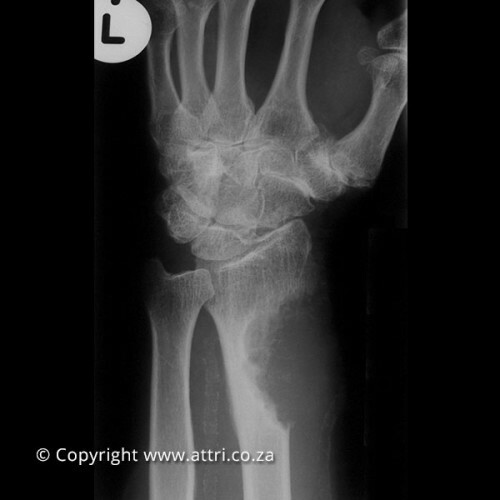 The implant is customised to articulate with the patient’s scaphoid and lunate bones of the wrist joint, as well as with the head of the distal ulna. 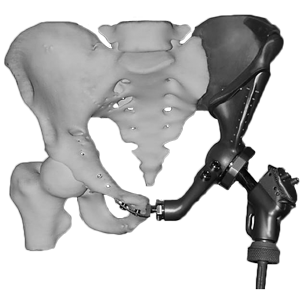 Depending on the location of the resection level, the distal epiphysis may be spared and used in a joint-sparing implant. 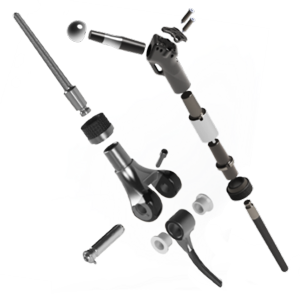 The distal implant, stem, and osseointegration component are made of titanium (either machined or 3D printed) and the articulating surfaces are coated with titanium oxide. 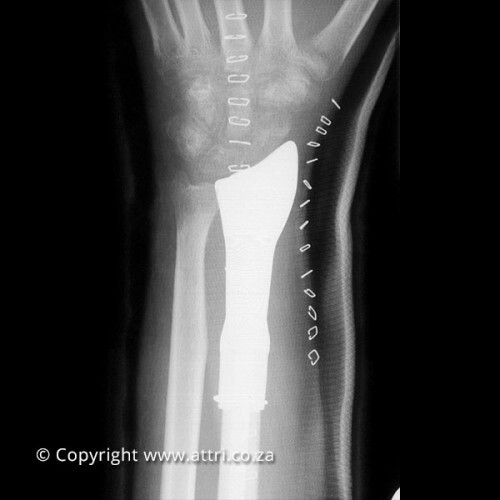 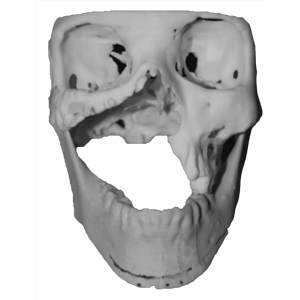 All the parts comprising the implant are of custom designs.